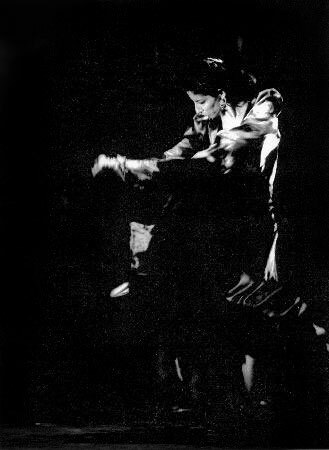 A Flamenco song, music and dance show introducing poetry as an innovative element as well as the leitmotif of the show. 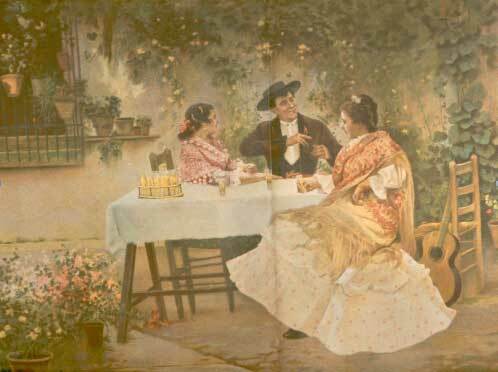 “Dímelo tú Flamenco” makes reference to myths and personalities of Flamenco song (mainly from the 19th Century) who were essential to the creation of a specific style and contributed to the formation of the various Flamenco ‘palos’. 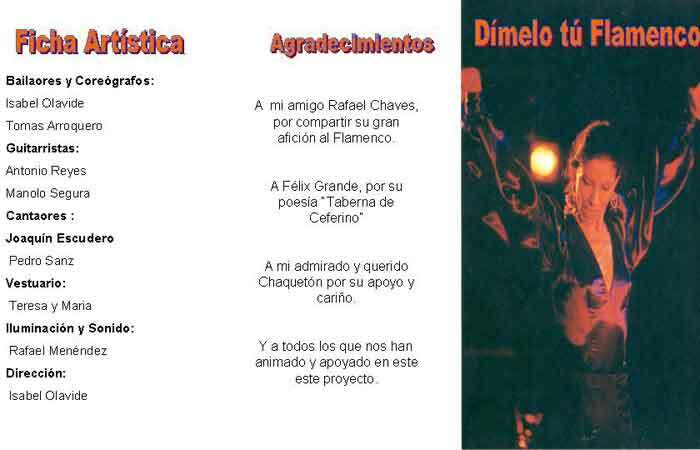 These Flamenco myths and masters are presented using poetry, such that the recital of these figures takes us in a creative manner into their world, their character, their time, as well as setting the atmosphere and preparing us for the representation of a specific dance, song or musical sound. This show combines Flamenco dance, poetry, song and music to pay homage to the original Flamenco personalities: Manuel Torre, Enrique el Mellizo, La Serneta, Juan Breva, Silverio Franconetti, Pedro el Morato, Pastora Pavón. 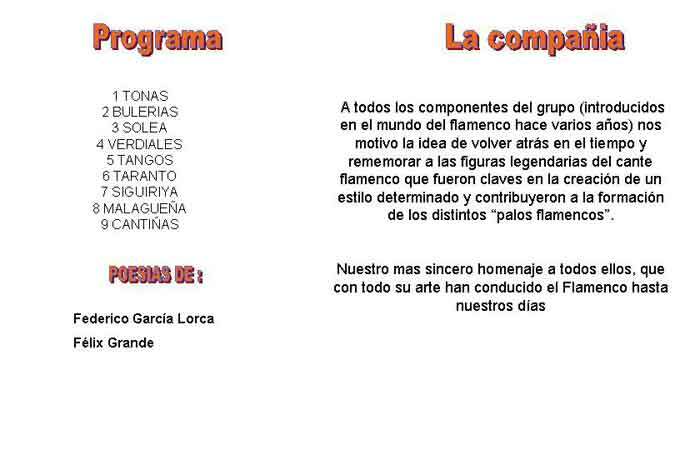 Its purpose is to convey to the public the Flamenco way of feeling and living through several styles, promoting admiration and respect for early Flamenco and providing a work of great artistic and cultural interest. Choreography and Stage Design by Tomas Arroquero and Isabel Olavide. First performed in Salamanca (European Culture Capital 2002). Represented on stage in Madrid and Madrid province, as well as in the International Festival of Haro La Rioja.